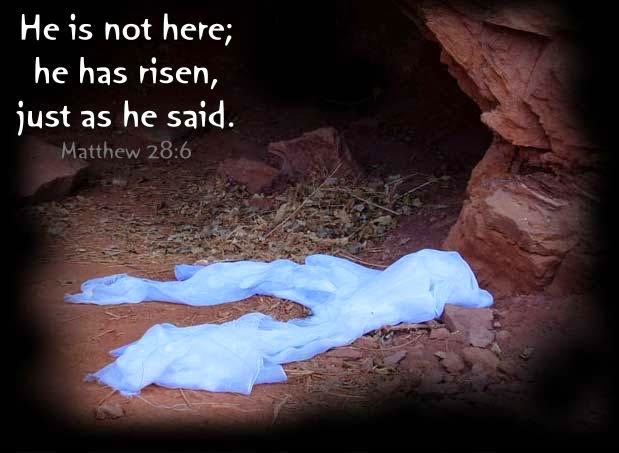 Easter Sunday, celebrating Jesus Christ's resurrection from the dead, is Christianity's most important day. On this greatest day of the Christian year, all fasting and sombre thoughts are banished. The exact origins of Easter as the name for this time are unknown. Some sources claim the word Easter is derived from Eostre, a Teutonic goddess of spring and fertility. Other accounts trace Easter to the Latin term hebdomada alba, or white week, an ancient reference to Easter week and the white clothing donned by people who were baptised during that time. Through a translation error, the term later appeared as esostarum in Old High German, which eventually became Easter in English. In Spanish, Easter is known as Pascua; in French, Paques. These words are derived from the Greek and Latin Pascha or Pasch, for Passover. Jesus’ crucifixion and resurrection occurred after he went to Jerusalem to celebrate Passover (or Pesach in Hebrew), the Jewish festival commemorating the ancient Israelites’ exodus from slavery in Egypt. Pascha eventually came to mean Easter. Easter is the principal feast of the ecclesiastical year. Leo I (Sermo xlvii in Exodum) called it the greatest feast (festum festorum), and said that Christmas is celebrated only in preparation for Easter. It is the centre of the greater part of the ecclesiastical year. The order of Sundays from Septuagesima to the last Sunday after Pentecost, the feast of the Ascension, Pentecost, Corpus Christi, and all other movable feasts, from that of the Prayer of Jesus in the Garden (Tuesday after Septuagesima) to the feast of the Sacred Heart (Friday after the octave of Corpus Christi), depend upon the Easter date. That the Apostolic Fathers do not mention it and that we first hear of it principally through the controversy of the Quartodecimans are purely accidental. The connection between the Jewish Passover and the Christian feast of Easter is real and ideal. Real, since Christ died on the first Jewish Easter Day; ideal, like the relation between type and reality, because Christ's death and Resurrection had its figures and types in the Old Law, particularly in the paschal lamb, which was eaten towards evening of the 14th of Nisan. In fact, the Jewish feast was taken over into the Christian Easter celebration; the liturgy (Exsultet) sings of the passing of Israel through the Red Sea, the paschal lamb, the column of fire, etc. Apart, however, from the Jewish feast, the Christians would have celebrated the anniversary of the death and the Resurrection of Christ. But for such a feast it was necessary to know the exact calendar date of Christ's death. To know this day was very simple for the Jews; it was the day after the 14th of the first month, the 15th of Nisan of their calendar. But in other countries of the vast Roman Empire there were other systems of chronology. The Romans from 45 B.C. had used the reformed Julian calendar; there were also the Egyptian and the Syro-Macedonian calendar. The foundation of the Jewish calendar was the lunar year of 354 days, whilst the other systems depended on the solar year. In consequence the first days of the Jewish months and years did not coincide with any fixed days of the Roman solar year. Every fourth year of the Jewish system had an intercalary month. Since this month was inserted, not according to some scientific method or some definite rule, but arbitrarily, by command of the Sanhedrin, a distant Jewish date can never with certainty be transposed into the corresponding Julian or Gregorian date (Ideler, Chronologie, I, 570 sq.). The connection between the Jewish and the Christian Pasch explains the movable character of this feast. Easter has no fixed date, unlike Christmas, because the 15th of Nisan of the Semitic calendar was shifting from date to date on the Julian calendar. Since Christ, the true Paschal Lamb, had been slain on the very day when the Jews, in celebration of their Passover, immolated the figurative lamb, the Jewish Christians in the Orient followed the Jewish method, and commemorated the death of Christ on the 15th of Nisan and His Resurrection on the 17th of Nisan, no matter on what day of the week they fell. For this observance they claimed the authority of St. John and St. Philip. In the rest of the empire another consideration predominated. 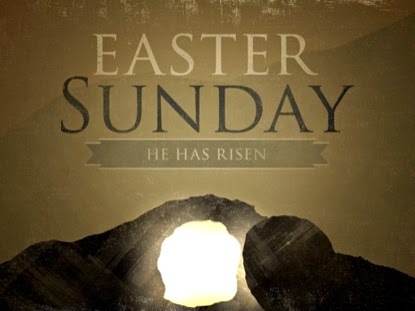 Every Sunday of the year was a commemoration of the Resurrection of Christ, which had occurred on a Sunday. Because the Sunday after 14 Nisan was the historical day of the Resurrection, at Rome this Sunday became the Christian feast of Easter. Easter was celebrated in Rome and Alexandria on the first Sunday after the first full moon after the spring equinox, and the Roman Church claimed for this observance the authority of Saints Peter and Paul. The spring equinox in Rome fell on 25 March and in Alexandria on 21 March. At Antioch Easter was kept on the Sunday after the Jewish Passover. In 3rd century Gaul, a number of bishops wishing to escape the difficulties of the paschal computation seem to have assigned Easter to a fixed date of the Roman calendar, celebrating the death of Christ on 25 March, and his Resurrection on 27 March. This practice lasted but a short duration. Whilst many calendars in the Middle Ages contain these same dates (25 March, 27 March), they were for purely historical, and not liturgical reasons. Others such as the Montanists in Asia Minor kept Easter on the Sunday after 6 April. The First Council of Nicaea (325) decreed that the Roman practice should be observed throughout the Church. But even at Rome the Easter term was changed repeatedly. Those who continued to keep Easter with the Jews were called Quartodecimans and were excluded from the Church. The computus paschalis , the method of determining the date of Easter and the dependent feasts, was considered so important that Durandus declares a priest unworthy of the name who does not know the computus paschalis. The movable character of Easter (22 March to 25 April) gives rise to inconveniences, especially in modern times. For decades scientists and other people have worked in vain for a simplification of the computus, assigning Easter to the first Sunday in April or to the Sunday nearest the 7th of April. Some even wish to put every Sunday to a certain date of the month, e.g. beginning with New Year's always on a Sunday, etc., but without success. Hence so far, the date of Easter remains moveable.